Accidentally dropped your iPhone into the bath and the toilet — and feeling your heart is breaking? After trying various methods to rescue or recovery, but still failed to get it work? What's worse, there are so many important data like photos, text messages, and contacts stored on your damaged device? Don’t worry! WORRY NO MORE! In this article, we will share several tricks to help you fix water-damaged iPhone and how to recover the data from Water-Damaged iPhone 6s Plus, iPhone 6s, iPhone 6 Plus, iPhone 6, iPhone 5s, 5c, 5, 4S. 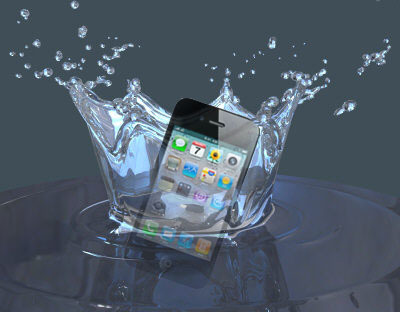 When you get your iPhone dropped into water, first things first, get the iPhone out of the water and don't be tempted to turn it on and check for damage, it can cause short circuits(it will worsen for sure). Wipe the excess and exterior liquid off on your iPhone where you can reach. Don't try to dry your water damaged iPhone with a hair dryer or other external drying machine. 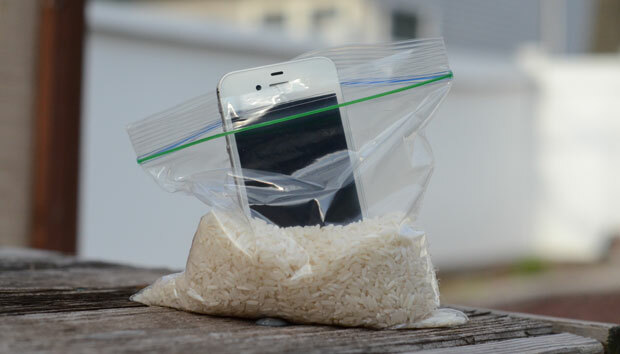 Put your iPhone in a container of uncooked rice and leave it there for 48 hours or so, or take it to the repair store. It is not easy to retrieve data from water-damaged iPhone since you can't turn on your device and can’t connect it to your computer. However, there is always a way. You still a great chance to get back the data with Tenorshare iPhone Data Recovery as long as you have made backups in iTunes or iCloud. It can powerfully extract data from your previous backup file without connecting your device. 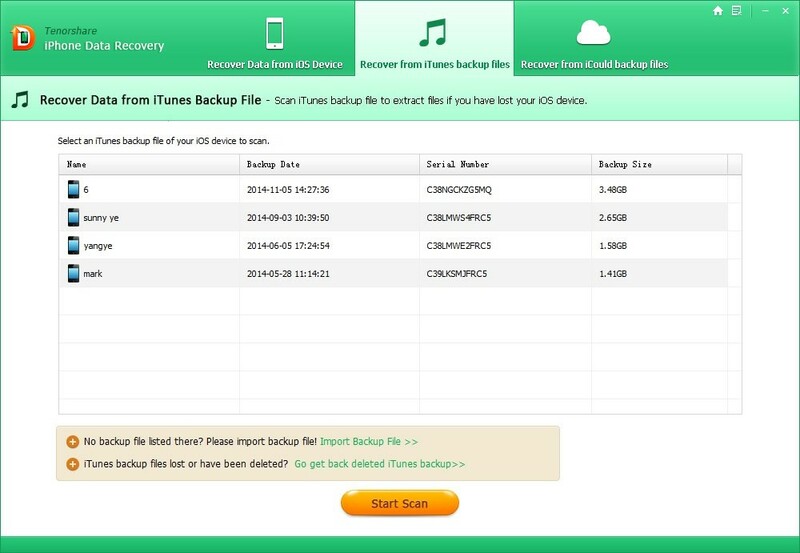 Step 1: Run iPhone Data Recovery and choose "Recover Data from iTunes Backup File". No need to connect your device. Step 2: Select the backup file you need to restore and click "Start Scan" to precede. 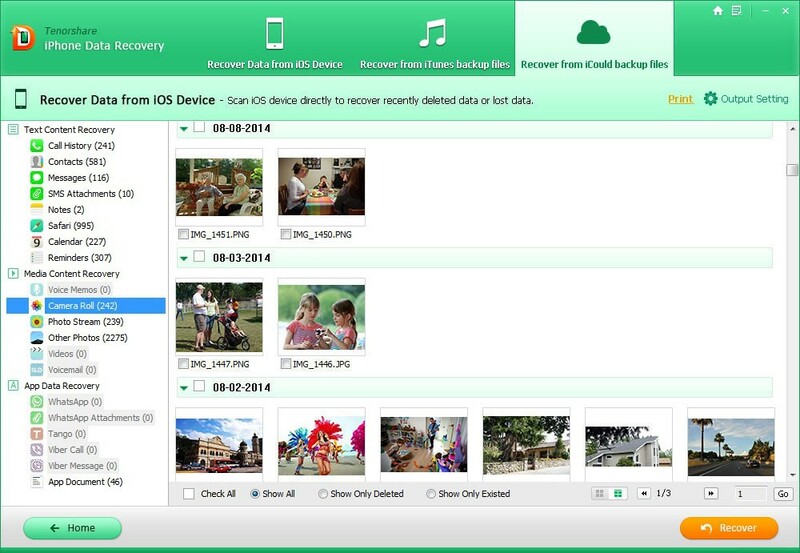 Step 3: Preview your files under different category and click “Recover” to recover your missing iPhone photos. Step 1: Choose "Recover Data from iCloud Backup File" and sign into your iCloud account. Step 2: You can select the backup and files you want to download to save the downloading time. Step 3: After downloading, you can see all your data in your iCloud backup. Click “Recover” to get them back. Within easy 3 steps, you can get back all data on your water-damaged iPhone. You can also get more pieces of advice on How to Fix Water-damaged iPhone.